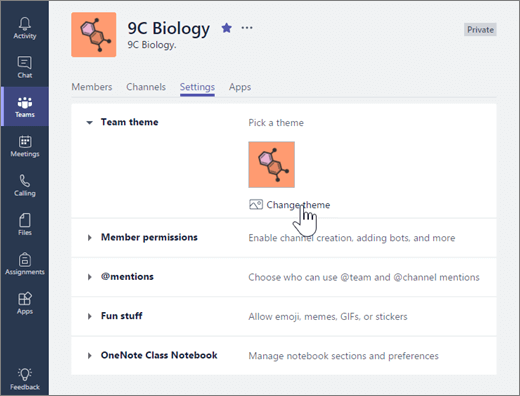 Visit your class team settings to change your theme, edit student posting and @mention permissions, and moderate emoji use. 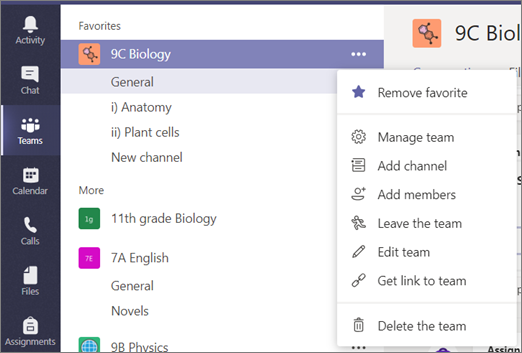 Navigate to a class team, then select More options . Select the Settings tab, then select a section to expand it and make changes.